Exercise: Exercise is that physical activity or efforts, carried out to sustain, maintain and to improve the health and fitness. Exercise is also important part of healthy life. If we live a healthy life so we will keep away from the chronic diseases like heart disease, osteoporosis, weakness, depression or diabetes. If a person loses his health, the world and its’ all charm mean nothing for him. It’s not only improve physical health but also emotional well -being. If we are healthy and fit so we can earn more money like said “HEALTH IS WEALTH”. In this article, we will discuss the different types and its benefit of exercises. There is one popular type of exercise called Cardio training. It’s an aerobic exercise to make our lungs and heart efficient and strong for good working. It increases heart and breathing rate. It also enhances and improves the oxygen intake system. Provide the oxygen to all the muscles in a very good way. There are some land based exercises and also have water deep exercises to make a person fit.Water exercises are very good and ideal for the body both for children and adults. It results in lose weight and have perfectly body without doing so much work. 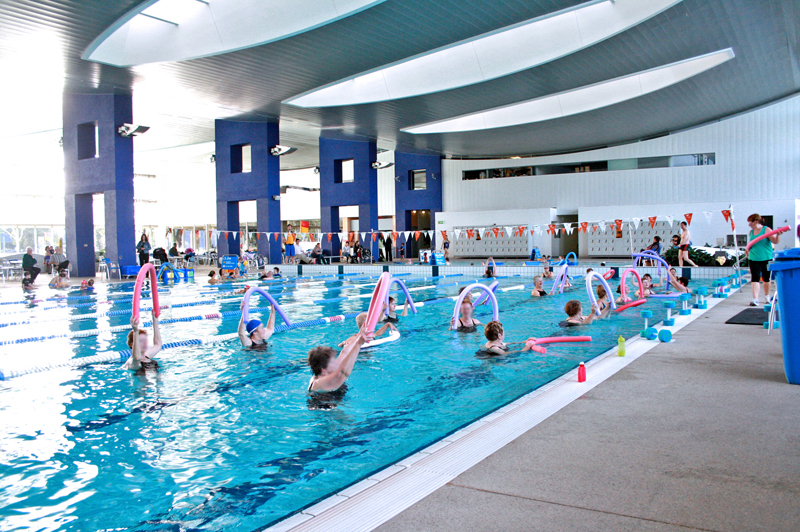 Water exercises reduces the injury risk and suitable for those who have joint problems. The force of water makes you to use your muscle well in result they are fit and strong. The best benefit of this is that it is available for all age groups. It burn 300 calories, give you better heart health, less of joint pains. This is comfortable having less chance of fatigue, reducing the mental stress. Walking in water helps you to heal the injury quick and have the weight loss without much pressure. You can walk with the height of your chest in a pool. Take a walk of 30 minutes, 3 times in a week. You must feel better and good. It improves your muscle strength of legs and hips. Raise your one leg in a pool and hold the one side of the pool with your hand for few seconds. Then repeat this with other leg. Repeat this around 10 reps. Hold the pool with both hands and abdomen facing the sky, lift the both legs and move them in cycling motion. There are so many benefits of water exercises like it enhance the flexibility and support the body weight from water buoyancy. Water heart rate is better for fitness. Water exercises benefits for the patients with lymphedema.